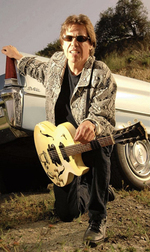 George Thorogood and the Destroyers have expanded their 2008 North American tour itinerary to include more than 40 dates. The rockers' schedule kicks off with a Feb. 23 performance at a NASCAR event in Fontana, Calif., and currently is mapped out through an Aug. 19 show in Baltimore. "[We're] not going to stop until we're run over or left for dead," says Thorogood. The trek will include a run of summer dates with blues legend Buddy Guy. 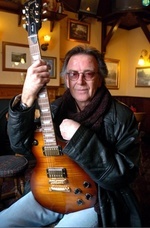 World-famous Whitesnake guitarist Mel Galley is seriously ill with cancer, the 59-year-old Staffordshire musician has revealed today. The rock legend from Cannock has broken the devastating news to friends that he only has a short time to live after recently being diagnosed with the disease. It comes just a month before the star was due to take to the stage again with a new band after years away from the spotlight. Mel said: “It happens, but I’ve had a fantastic life.